Alchemy might seem on the surface to be a backward form of chemistry where little is understood about the nature of the substances being acted upon. Alchemical writings are a mass of strange symbolism leaving you wondering if the subject has any relevance to chemical processes at all. Looking from the usual outward focused mindset, alchemists seem to be strange excentric dreamers. A handful of more recent mystics and scholars though understood this symbolic language as being aligned with the inner language of transformation. Some alchemists were focused through the outward facing mind into only creating their ambitious goals, but perhaps some, afraid of being labelled heretics, followed their personal inner process and mapped it symbolically for generations to come. Many of the symbols of alchemical texts parallel those of the inner processes of transmutation: the transmutation that leads to the encompassment of the opposites. The principles we have to apply to make pointholding effective are paralleled by the principles within the alchemical processes. This also goes for several other disciplines which use similar principles, such as long meditation. How could it be otherwise? Any true method of transmutation would be essentially doing the same thing. The first thing we encounter in pointholding is the alchemical prima materia, an undefined mass of confusion and unconsciousness. As we stay willingly controlled and disciplined within the process, the definite issues, still first as crude substances, appear from within the mass. 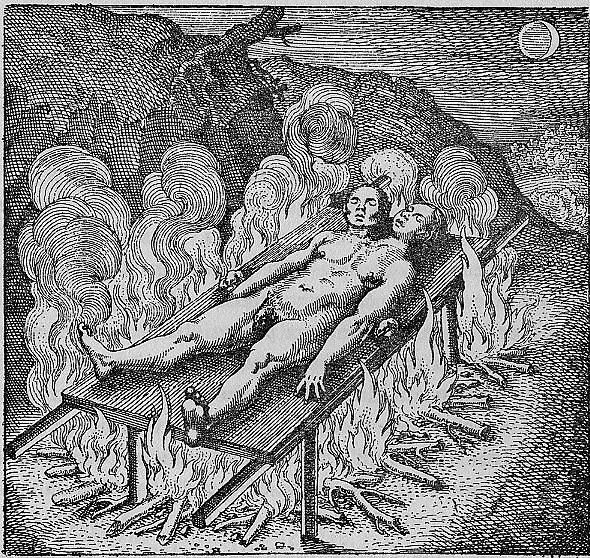 Further refinement of the issues happens through the burning of the alchemical calcinatio, and literally in pointholding there is the routine experience of the sensation of a strong burning in the body, where the physical body and emotional reactions have to be disciplined for the transmutation to take place. 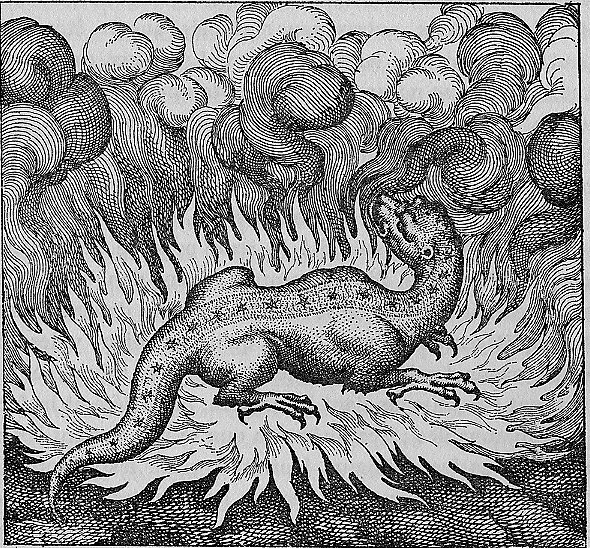 This process in its physical sensory aspect, and actual experience of a transforming fire in the body, is missed by almost all if not all of modern adherents to the alchemical process and their symbols. In the symbolic alchemical parallel, this is akin to us creating our containing vessel through physical and emotional discipline and then with our awareness we place whatever is surfacing to be transmuted into the vessel. We internalise everything. Everything, including physical movement, senseless talking, and emotional expression, needs to be contained for the inner alchemical energies to do their work of purifying, transforming and transmuting the crude emotions, desires and scanty memories we started with. As the refinement proceeds and the dross is burnt off the prima materia through the calcinatio, the refined substances are separated from impurities. The impurities have boiled and evaporated and escaped the vessel never to be felt again, leaving the much valued purified feeling state behind. Specific patterns can be perceived at this point in the process. As an example we may start with the grief over someone who died, but then we refine it to see it contains guilt at not having loved the dead person enough. We then refine further to see how this relates to a concept of love imprinted on us through social conditioning in childhood and so on. As the fire cools we can perceive and feel the new state of reduced reactivity. In other sessions of pointholding we will get to work on the issue again from the base up, working on a different part of the "substance," this time perhaps rather than how we felt victimised by the opposite polarity of one of our dualities coming at us, we see that polarity at work in us. Note that this is definitely "get to work on" rather than "choose to work on". In a body-oriented discipine we can ony work with what is elicited from an area of the body and not wander into other areas as we could say in a counseling session. Further refining and burning off of the dross yields two (or more) polarities of belief, or alchemical substances, which form together a complete picture of how we have deluded ourselves and created all manner of outer events to reflect it all. As we go through this process of purification by fire (many times over for a deeper issue), the emotional body with its voracious desire nature calms down and the analytical mind wakes up. The physical body as prima materia and having been subjected to the inner fire at this point, is a step more calm, more sensitive and more pure. At the point having purified enough substances (over many many sessions) we naturally enter another phase of the alchemical process - the phase which John Ray called the transmutation of the mental body. 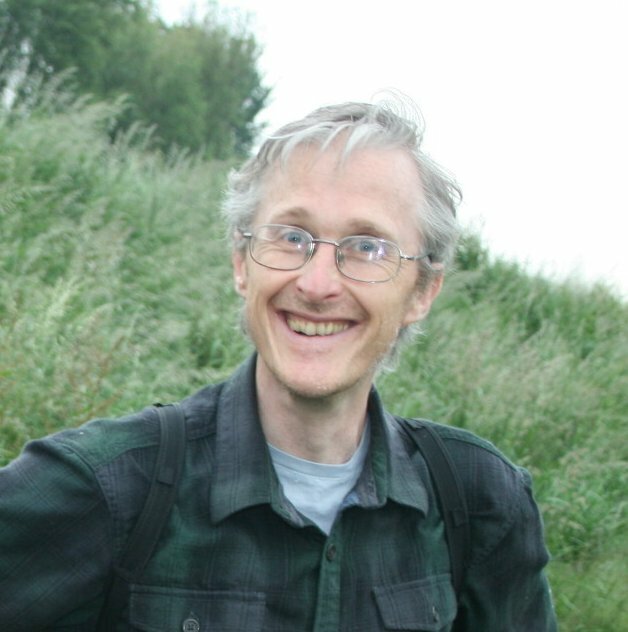 Peter is a practitioner and teacher of body electronics and well read in the works of Carl Jung and some of his followers. As a natural researcher he is always looking for greater understanding of the principles and details of this great inner work. We are all a mass of suppressed and engrained emotional patterns and the desires these lead to. If we don't wish to remain in this compulsive state, or we wish to find out who we are beyond all these things, we need to pick up the principles of transmutation, in whatever guise and under whatever names they are presented. Then we need to begin, or continute the work they alude to. This is the Great Work, or Opus Magnum of the alchemists.